Club Penguin, the browser-based, ultra-kid-friendly, Disney-run MMO, is shutting down servers on March 29. Can you hear that? That’s the sound of a million hearts breaking at once. Club Penguin Island has no gameplay footage or images but per an image on the game’s pre-registry site, it appears the game will be 3D rather than the game’s predecessor in 2D, and the game will have microtransactions. Whether these microtransactions will be in addition to a subscription like the previous title is unknown. From the Club Penguin Paradise pre-registry site. Club Penguin, a game to define a generation, has yet remained relevant in the months prior to its shutdown. Who can forget November 8, the day Donald Trump was elected, and a real, massive protest erupted in Club Penguin? Is this truly the end of an era you might ask? 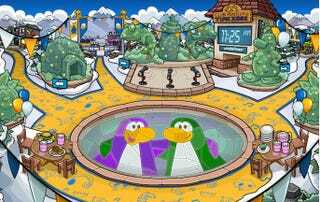 Absolutely not, as many private-run servers for Club Penguin have been running for years and will likely continue to function after the game’s official shutdown. Sites like CPPS still function, with over 33 thousand users reportedly still active and free membership. Club Penguin was never close to the most successful MMO of all time, but it was close to the most popular. The game had a peak monthly user base of 8.5 million in December of 2009, and boasts over 200 million registered accounts as of then. For reference, World of Warcraft, the most succesful MMO of all time, had a peak subscriber base of 12 million in October of 2010. Seeing as this is the age of information, you can be sure Twitter is reacting appropriately to this information. Have any lasting memories of Club Penguin like that terrible nickname everyone regrets having? Mine was “MarioFirebal” because the maximum characters per name was 12 (I was 10 okay we all make mistakes).